Surgeons have expressed concern over the challenges presented when faced with removing certain popular intramedullary device designs. Not only is the procedure complex but it also can lead to damaging the cortex by requiring the creation of a dorsal window to access the implant. In the event that the ARROW-LOK™ implant requires removal, the procedure is remarkably simple and in all likelihood should not compromise the cortical bone. Note: Removal of other devices has been documented when breakage has occurred at a point on those implants not designed to withstand cyclic loading. However, please consider that the ARROW-LOK implant is manufactured from stainless steel and features a design that has been tested to a quarter of a million cycles at 89N with no signs of fatigue. The resistance to fatigue forces is consistent regardless of where the fusion site falls along the implant shaft. The removal of an ARROW-LOK implant requires standard instrumentation common to most surgical centers and hospitals: a wire cutter, a power handpiece with a side cutting burr or a 3.5mm cannulated drill bit, and needle nose pliers. 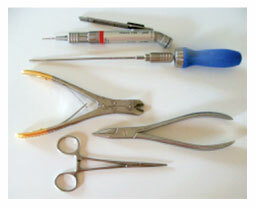 Access the surgical site through the generally accepted surgical technique. 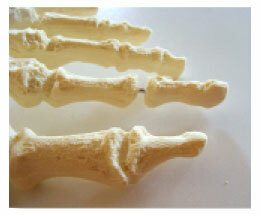 Expose the ARROW-LOK implant with resection of the bone or fibrous tissue using either hand or power instrumentation. Cut the ARROW-LOK implant using a wire cutter exposing the shaft of the implant into the surgical site on both the proximal and intermediate phalanges. Resect the bone around the implant shaft utilizing a side cutting burr on power instrumentation or a 3.5mm cannulated drill bit. 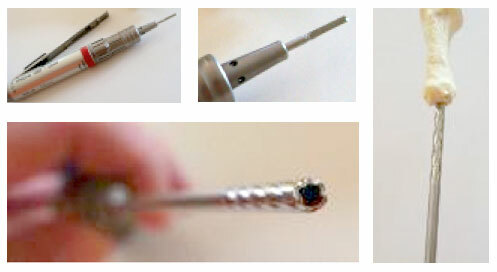 Note that the 3.5mm cannulated drill bit is the same width as the head of the 3.5mm ARROW-LOK implant. The implant shaft is now exposed and the arrowhead free of bony impingement. 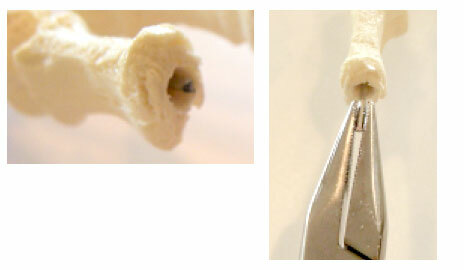 Grasp the exposed implant shaft with surgical needle nose pliers or a straight hemostat. Pull the implant from surgical site.